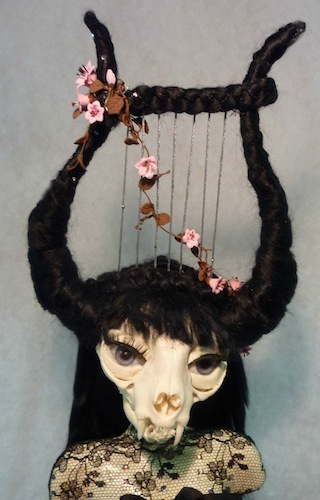 The skull is a real house cat skull with realistic acrylic BJD eyes and lashes. 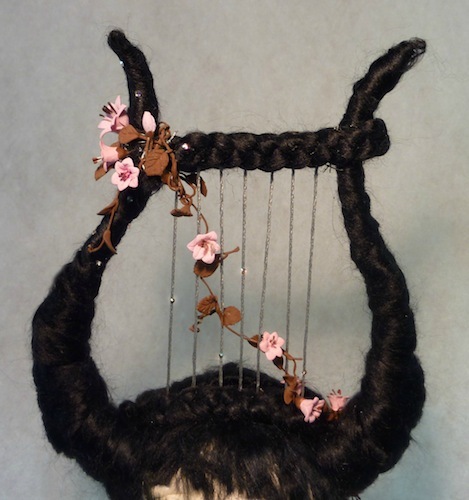 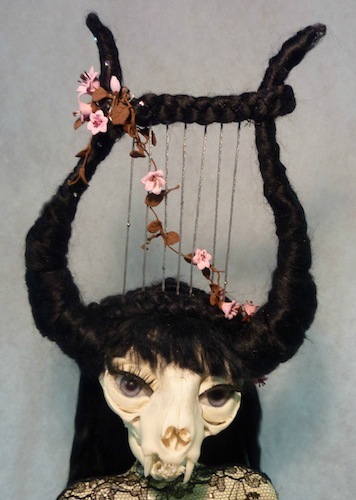 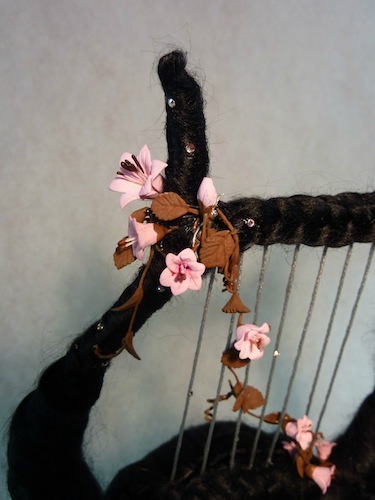 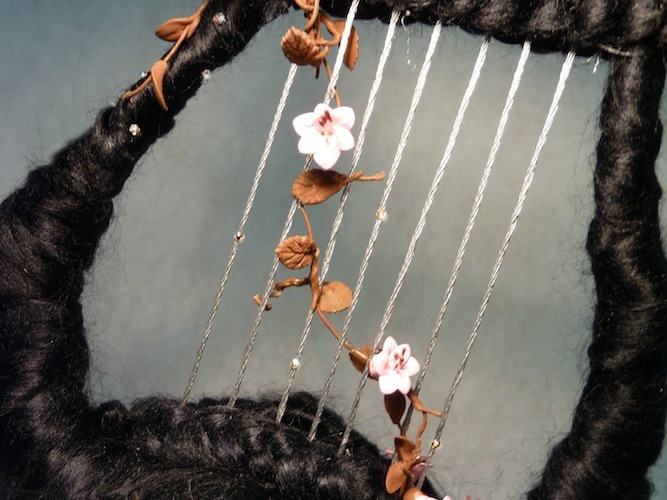 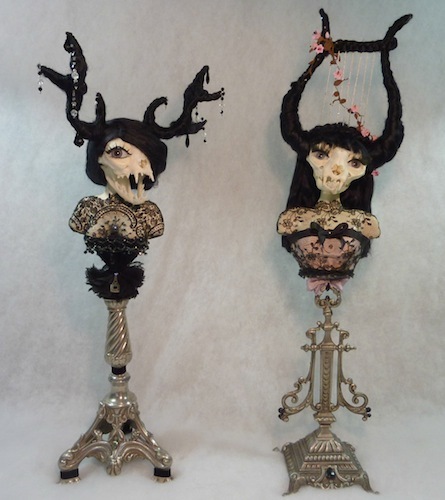 Her hair and lyre are made from high quality black English viscose adorned with Swarovski crystals, silk embroidery thread strings, and clay flowers. 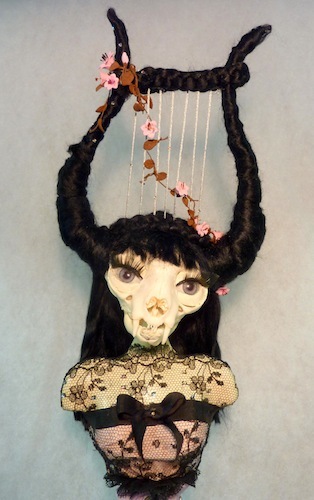 Her torso is sculpted with paperclay over a messing rod frame. 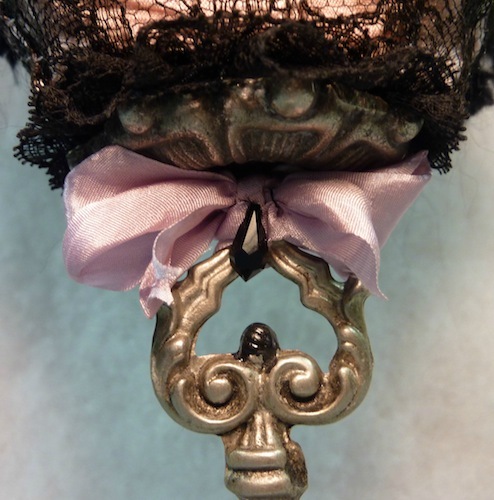 The bust is dressed with pink dupioni silk and black antique lace from the Victorian era, finished with tiny Swarovski crystals and a black silk bow. 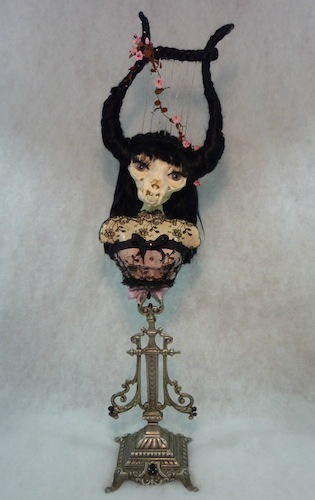 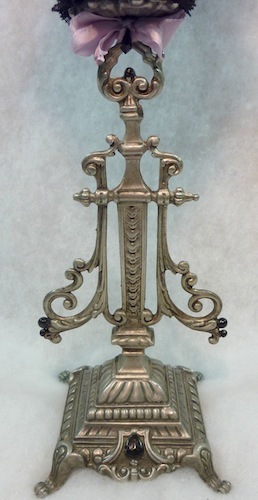 She is posed (removable for safe shipping) on an antique tin church candleholder adorned with a pink silk bow and Swarovski crystal drop.